On Wednesday I got up around 8:30 and worked on Tuesday’s post, arguably one of the most enjoyable days of the year for me. 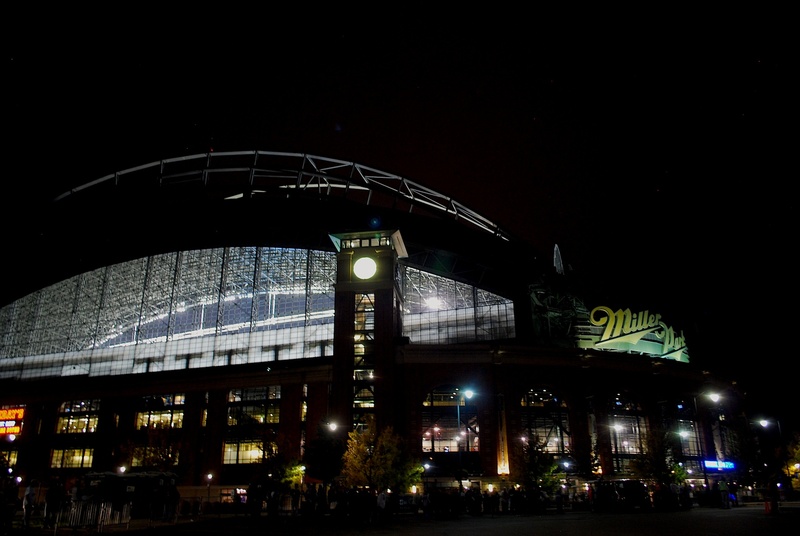 Bill Glauber of the Milwuakee Journal Sentinel called at 9:45 and I talked with him for about 30 minutes. At 12:30 I did an interview on 1250 WSSN and then talked with Josh Smith from my hometown newspaper, The Daily Jefferson County Union. Victoria’s aunt made us lunch and then we got ready for the game. 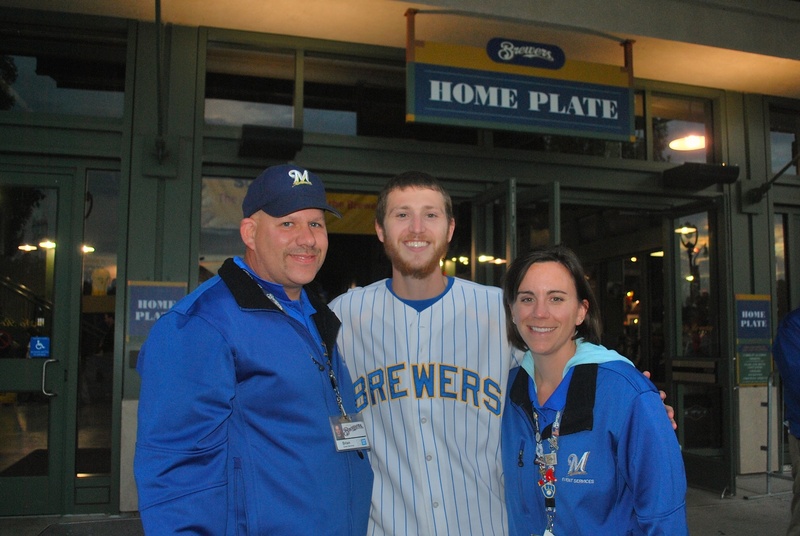 We left at 3:50 for Miller Park and were outside of the home plate entrance at 4:35. This isn’t the game number photo, but I thought it would be a good picture to have. 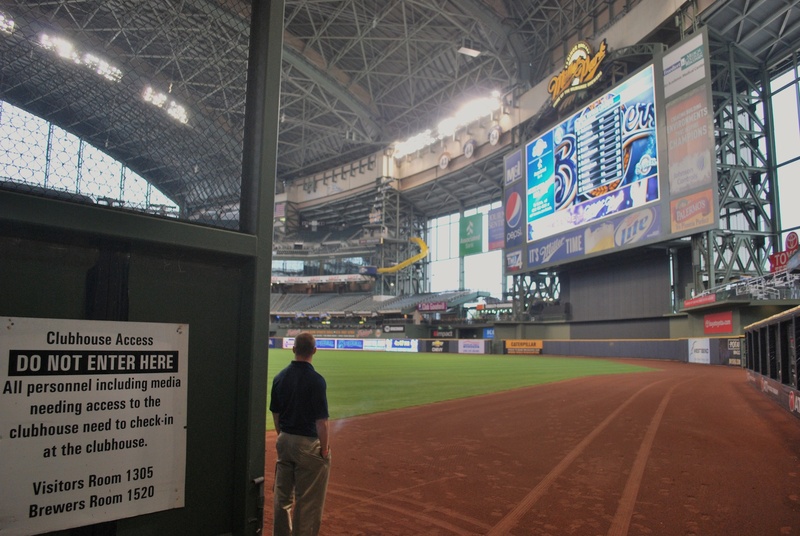 In the right field corner are the executive offices and we met with Brittany from Marketing and Frank from Brewers Enterprises. Also along for the trek up to Bernie’s dugout was Bill Glauber and his photographer, Mark Hoffman. Frank took us down to the service level where we walked past Bob Uecker’s SUV, the only person allowed to park in the stadium. We briefly went out on the field and if you’ve been following along since day one this picture will look very similar to the one I took on opening day. 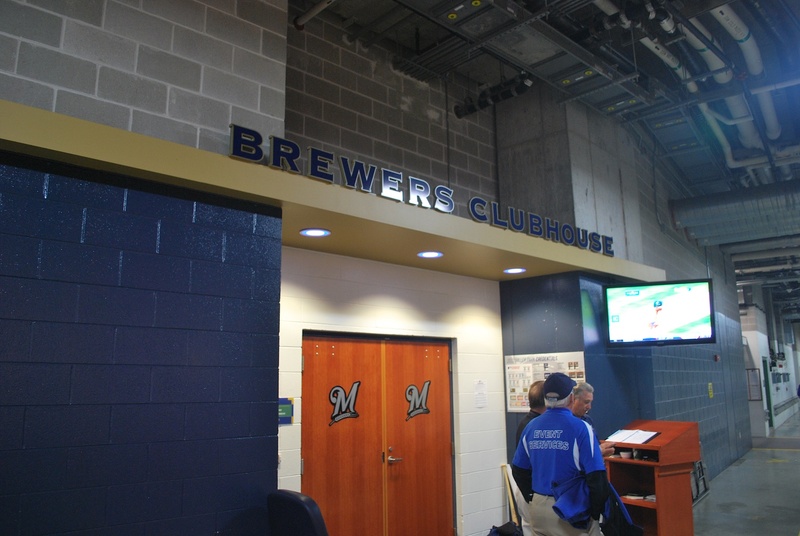 Along the service tunnel we went, passing the Brewers Clubhouse on the way. Since the Brewers were in there we couldn’t have a look around, but it was all good. I had gotten a tour from Larry Hisle in 2009 and got to see the clubhouse briefly. I remember Trevor Hoffman being the only one in there, just chilling on a couch watching TV. The “Media Interview Room” was next and I did my best Jim Mora “PLAYOFFS!?!? !” impersonation before smiling for the camera. After walking to the left field corner we took the elevator up to the club level and then passed through the NYCE Stadium Club and headed out to Bernie’s dugout. 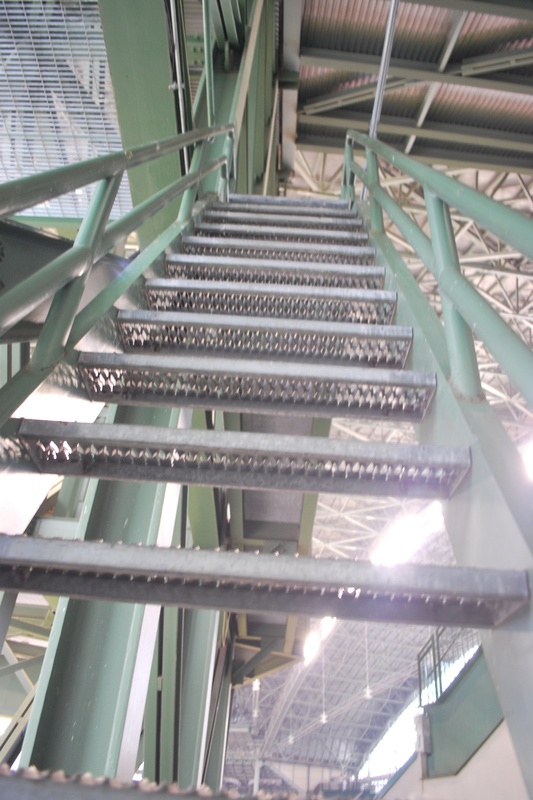 The stairs are very steep. When we got up there look who we found! 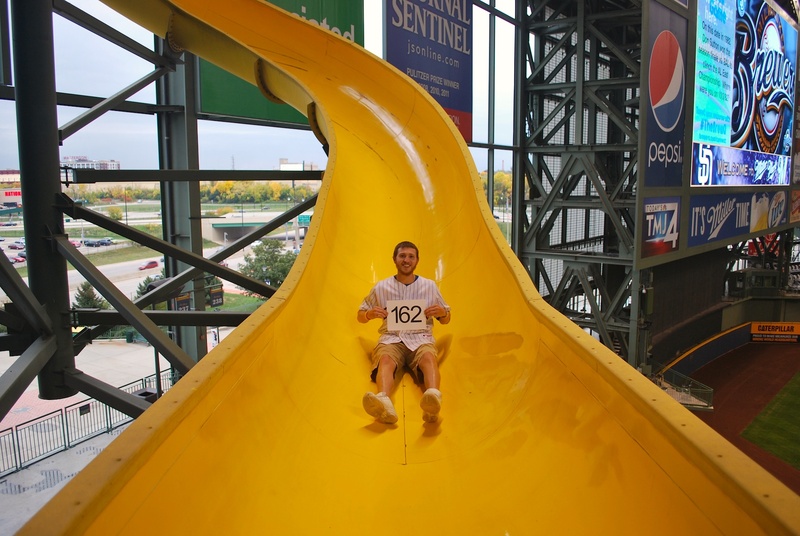 I’m a little upset that I didn’t use my iPhone’s video capabilities to record my trip(s) down the slide. Some stills will have to do. Persons not named Bernie have to sit on a piece of burlap so you don’t get slide burns. 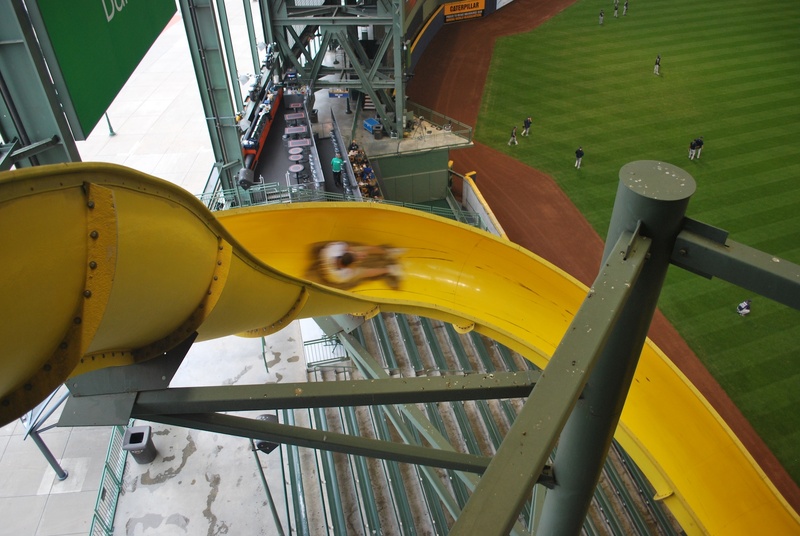 Haha, slide burns. Victoria took an action shot of me on the slide and you can tell that I’m moving fairly well. After going down the first time I walked back up to get game photo number 162. I also took a couple standing but I think this one is the best. 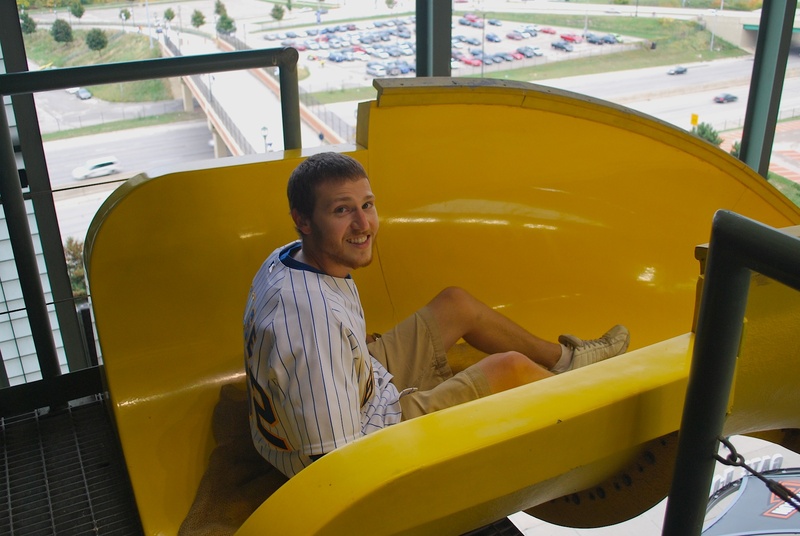 I went down the slide again and then called it quits. We could’ve gone down more times if we had liked, but I felt bad with everyone just bumming around while I had all the fun. During this whole time Bill was asking questions and Mark was taking pictures. I’m not sure when the story will run in the paper but it’ll be sometime soon I’m sure. Frank led us down to the field level and Victoria and I went to Friday’s Front Row to have a beer. 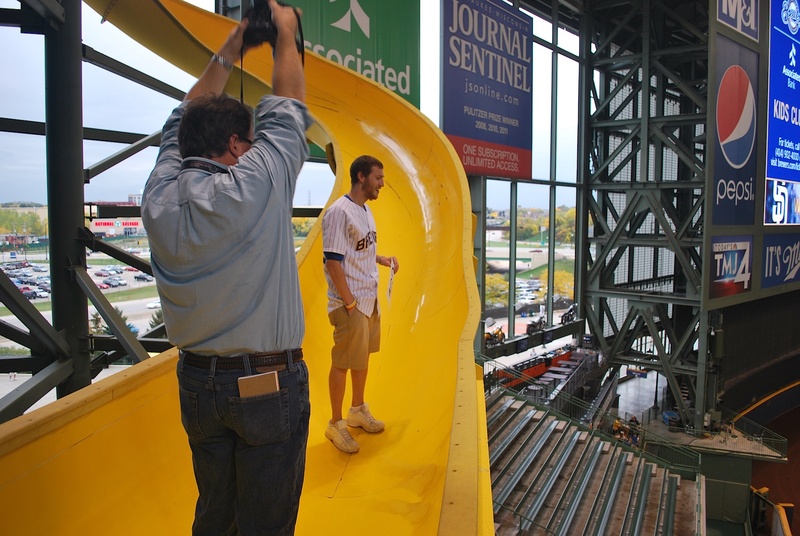 Thanks to the Brewers for allowing me to go down Bernie’s slide, which any fan can do now (not for free though). Thanks Brittany for meeting with us and Frank for showing us around. We were in Friday’s for almost an hour and we got to see the Oakland A’s clinch the AL West with a victory over the Texas Rangers. The A’s trailed the Rangers by 13 games at one point and came into the final 3 game series down by 2 games. They needed a sweep and that’s just what they got. Congrats to the A’s, what they’ve done with the 2nd smallest payroll is amazing. It was also cool to watch because they showed people in the stands at the Colleseum and Victoria and I spotted Ben Christensen, former MLB Fan-caver who’s from Oregon and claims the A’s as his team. We hadn’t gotten our tickets scanned since we entered through the executive offices so Victoria and I exited the left field corner and walked towards the home plate entrance. 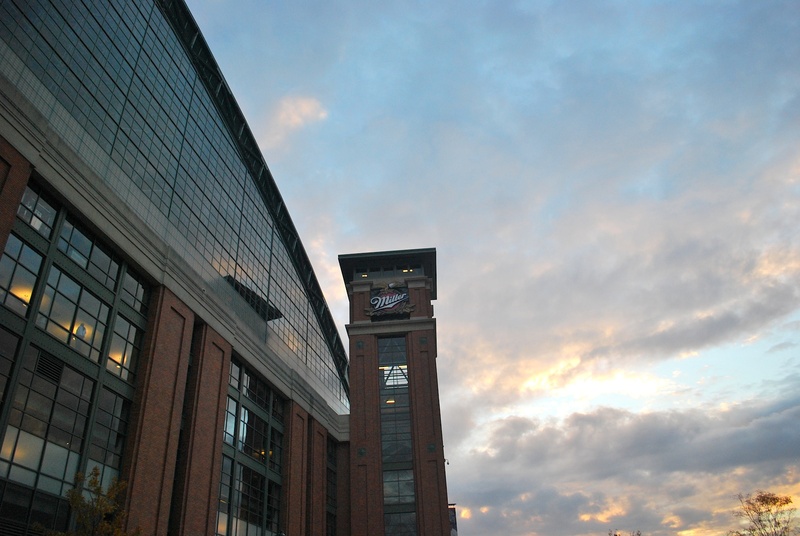 The Miller clock tower and skies were ripe for a picture. I think it was the 3rd or 4th home game of the year, but one of the bag checkers recognized me from the previous 2 or 3 games and she said “Back again?” I laughed and told her what I was doing and I’ve made a point to enter through that entrance to say hi to her and her husband, who also works as a bag checker. Below is a picture of Brian, myself, and Jessica. You guys are awesome and I’ll see you next April. We went up to the loge level and talked to the Ice Man for 5 minutes or so, and learned some stuff that I didn’t know. He runs a basketball camp and said there are a few of his camp-goers that are now in the NBA, including Steve Novak. He pushed going to Spring Training pretty hard, and within the next couple of years (I hope) I’ll be down there taking it all in. If you watched the FSN interview from Tuesday you’ll remember that Brian Anderson said I was “hiding under my seat” when Victoria got that foul ball that rolled her way in the 3rd inning. I couldn’t let him get away with it so I got in line with the FS Wisconsin booth and yelled “BRIAN!” followed by “BA! !” He and Bill Schroeder eventually looked out to see what was going on and I told him that he lied and that I wasn’t “hiding under my seat yesterday.” He and Bill laughed and Brian said that I was. I don’t have a photo but they were both wearing bowties, which Victoria and I thought was pretty silly. I was in my seat in time for the first pitch but wasn’t prepared to take the final first pitch picture. I don’t feel bad because I didn’t start doing it until later in the year, so it’s not like this is the first time it happened. 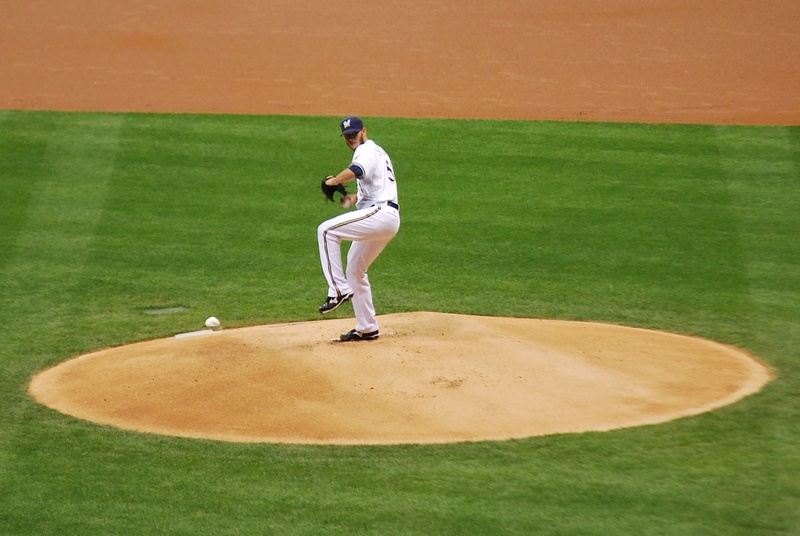 Stinson started in place of Yovani Gallardo, which greatly decreased the likelihood of seeing the necessary nine strikeouts to set the MLB team record for Ks. Here is Stinson pitching in the 1st inning. 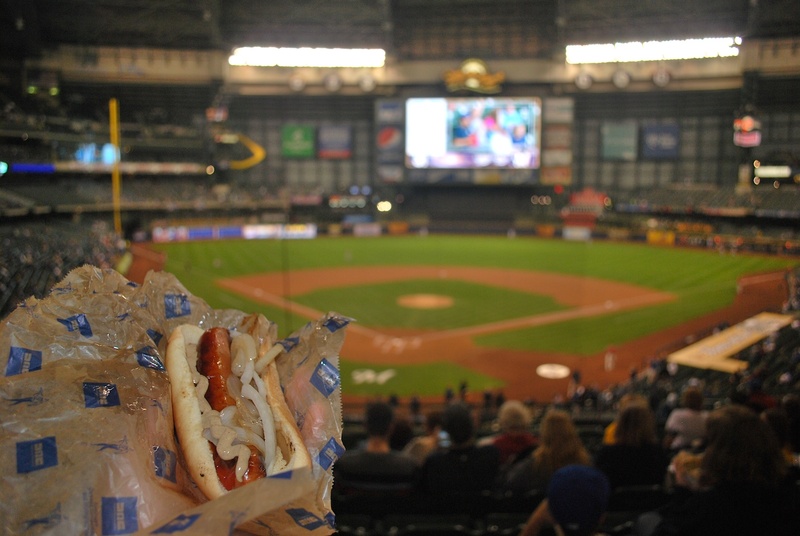 The Brewers put solo runs on the board in the 1st and 2nd inning and then erupted for a 4-spot in the 3rd. Aramis Ramirez was pulled from the game in the top of the 3rd to protect his .300 batting average that he had achieved in the bottom of the 1st on his RBI single. 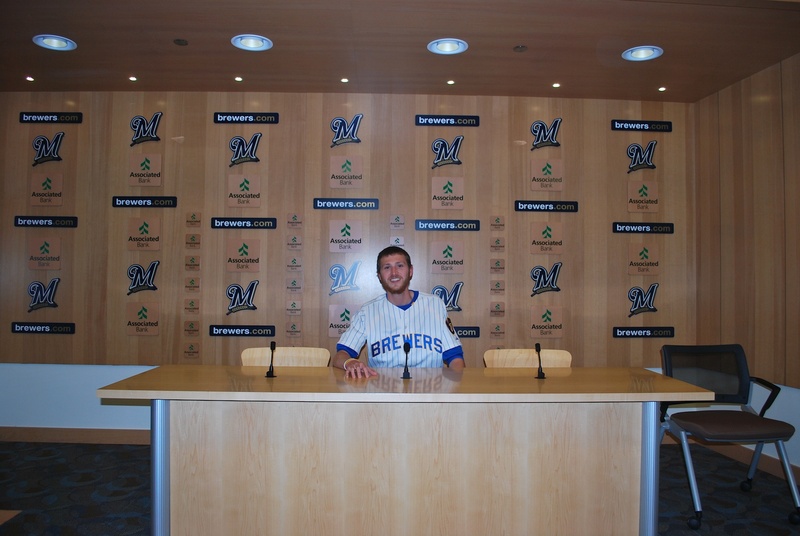 I wonder if he told Roenicke before the game that he’d like to be removed if he got to .300? Ishikawa did the major damage in the 3rd, driving in three runs on his two out double, immediately after the Padres intentionally walked Gomez to get to him. The Padres slowly chipped away, scoring their first run in the 4th and then adding two more in each of the 5th and 6th innings. 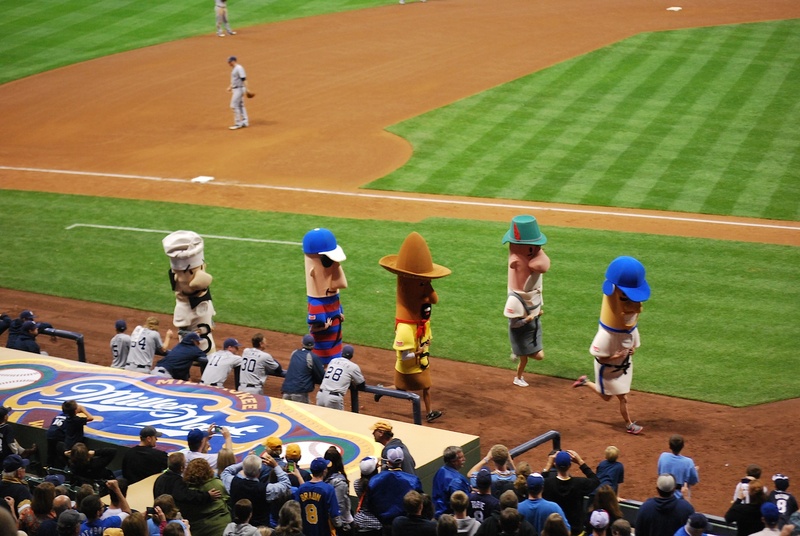 In the middle of the 6th the final sausage race of 2012 was run. I incorrectly chose Polish, even though I had wanted to select hot dog but Victoria beat me to it. In the top of the 7th the Padres scored two more times and I didn’t like the score. It’s like they were speaking to me, except they forgot the “crazy, never-say-never, determined” between the you and fans. 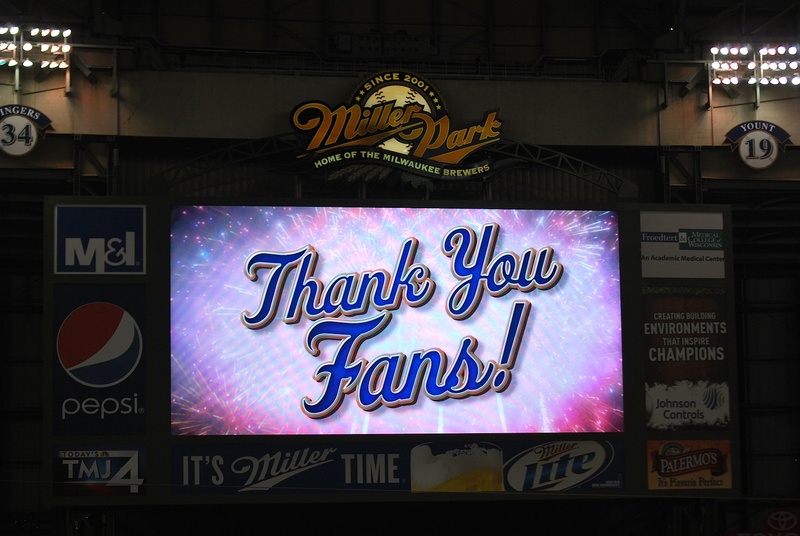 We exited Miller Park at 10:30 PM after saying goodbye to Brian and Jessica. 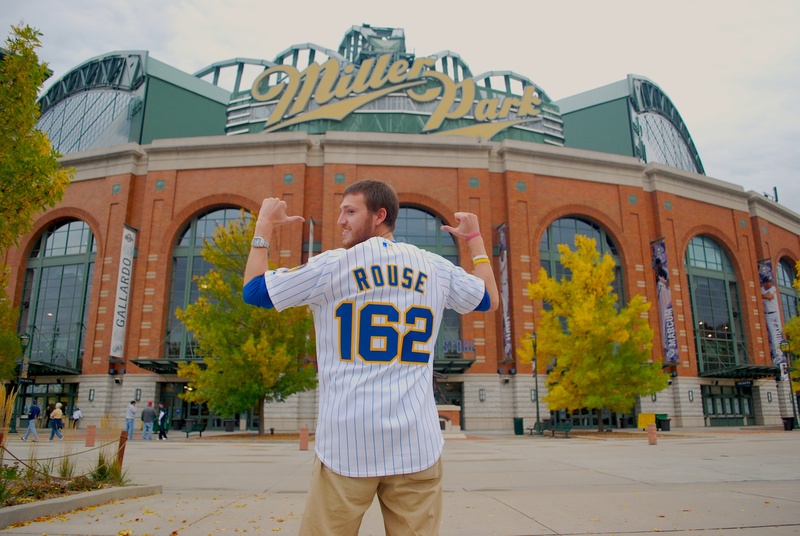 Opening Day is in 179 days…. Round two, anyone? 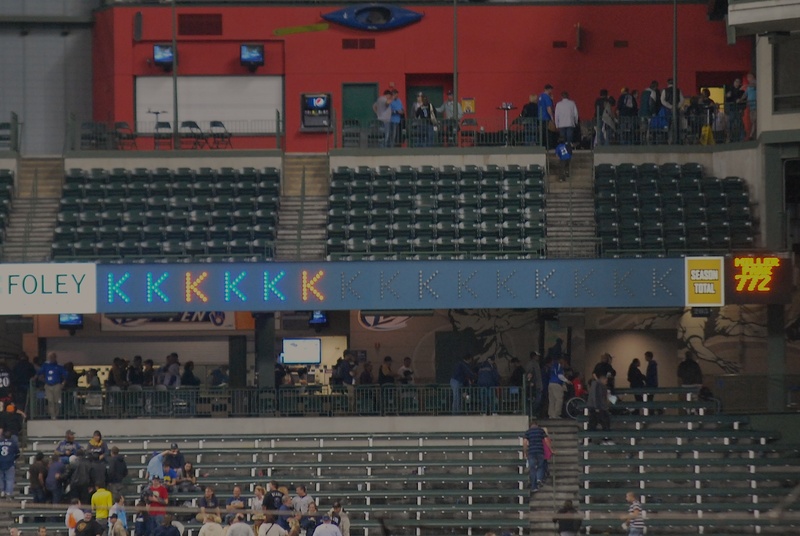 The Brewers fell just two strikeouts short of tying the 2004 Cubs for the most strikeouts as a team. 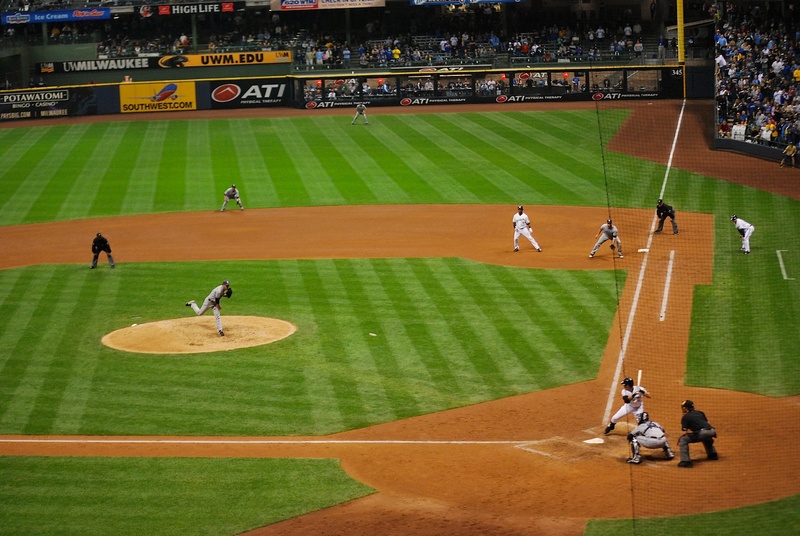 The Brewers finished the game with 6 strikeouts, which was impressive because they had zero through five innings. Darn. Congrats on making it through all 162 games! I really enjoyed your daily breakdowns, and definitely appreciate your cause. Well done! Congratulations from a Be the Match registeree! Congrats buddy. 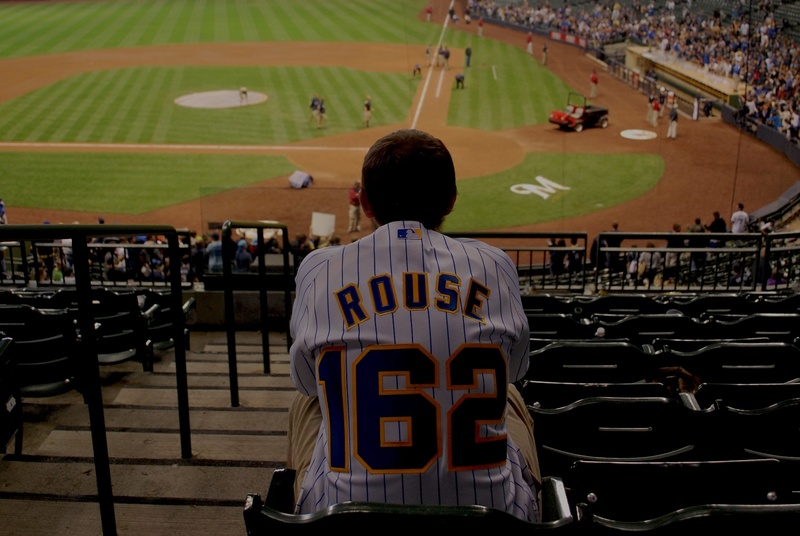 I’m not sure I’ll ever feel this much pride again for someone watching some baseball games. Dude! Oh. My. God. I seriously wasn’t sure if you were actually gonna make it. Congrats. Congrats Man! I’ve been following your blog all year. What a once in a lifetime accomplishment! Congrats Ben on your amazing journey. Not only were you able to fulfill one of your dreams, but you helped a great cause along the way by raising awareness and money. When you told me you were leaving work to do this, I thought your journey might be impossible to complete given all the logistics. But as you say in your blog, WELL DONE! Get some rest and enjoy your sister’s wedding. 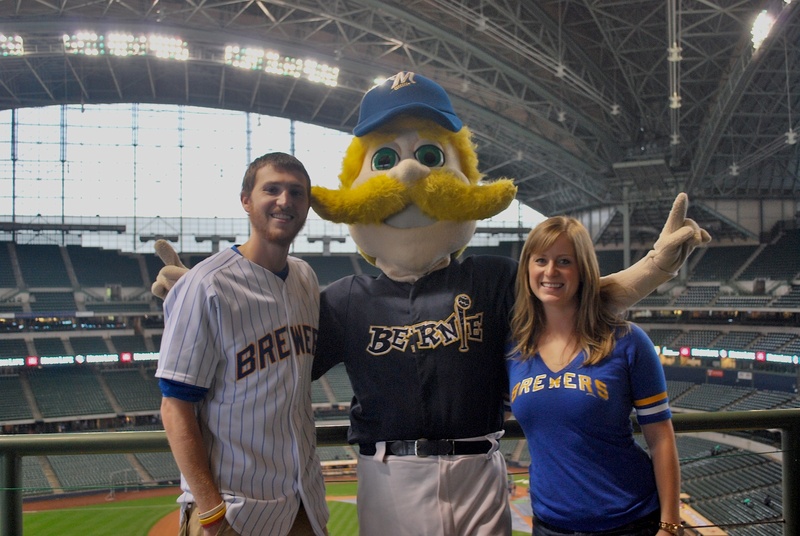 Thank you to the Brewers for helping Ben with his journey! Thank you Ben for a great season! I have really looked forward to your blogs. Hope to hear from you next season. Congrats man, so awesome that you were able to do it. Didn’t miss an entry all year. Glad I was able to vicariously live through you. Ben- It was great to meet you in DC. Sorry I could not make that Monday game. I hope that you considered the season a success. You should write a book about this. Best of luck and I hope to catch up with you next time I am in Madison. Perhaps we can see a Mallards or Brewers game! Congrats! What a great journey. I’ll have to try to read through your whole season’s journey. Thanks for sharing it! Congrats! I’ve enjoyed reading your blog, especially the pics of food. Loved that.